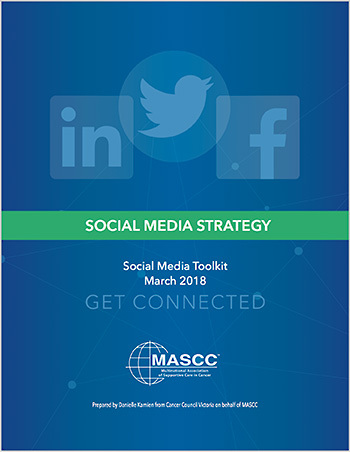 The Social Media Strategy toolkit and Twitter Quick Guide are provided to help MASCC and its members establish a global social media presence. These guides will help you manage social media accounts and implement best practices for Twitter, Facebook, and LinkedIn in order to effectively disseminate MASCC’s research and educational efforts, including new supportive care information and practice resources. All MASCC Members, Study Groups, Staff, and Board members are encouraged to use these tools and to engage regularly on social media platforms.